The red carpet at the 2019 Grammy Awards this evening was, in a word, fascinating. Between Lady Gaga’s dazzling diamond look to Cardi B’s full look (scroll down to slide 4 to see what I mean), the music industry pulled out all the stops and left us captivated. You might think that just because the music crowd at the Grammys is different from the film and TV crowd at most other award shows that the fashion differs just as much. But this year, celebs of all industries had the same idea when getting ready for their red carpet appearances. Starting with Laura Harrier and Emily Blunt at the SAG Awards, we started noticing the color pink picking up steam on the red carpet. In a post-#MeToo award season, it seems celebs are skewing more saturated this year. Perhaps as a celebration of female power? Sure enough, the Grammys crowd showed up tonight in full participation of the trend. 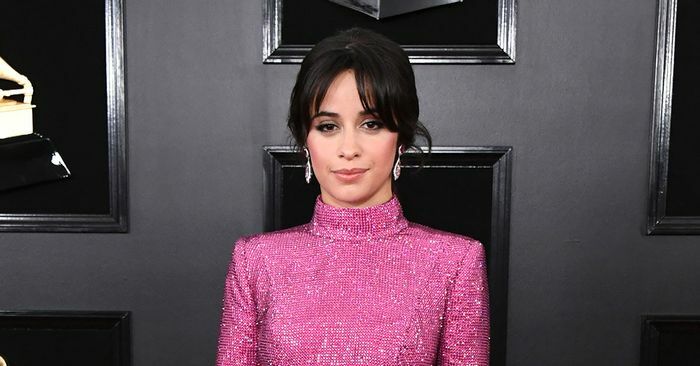 We saw Camila Cabello in a fuchsia sequined gown while Katy Perry and Cards B opted for softer blush tones. Overall, the theme of tonight’s award show has been of celebrating women in music—and both the red carpet and the roster of nominees reflects that. Keep scrolling to see all the celebs who solidified pink as the biggest red carpet trend of the year.